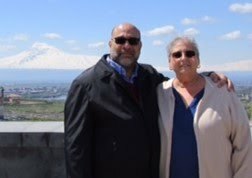 Way back in 2011, I introduced Christine Vartanian-Datian to the readers of The Armenian Kitchen. In the story I mentioned that Christine’s love of cooking was passed down from her grandmother and mother. Another family member, Christine’s cousin, David Vartanian, also inherited the ‘cooking gene’. 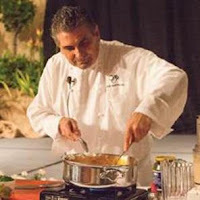 He is a highly regarded chef at The Vintage Press in Visalia, CA. 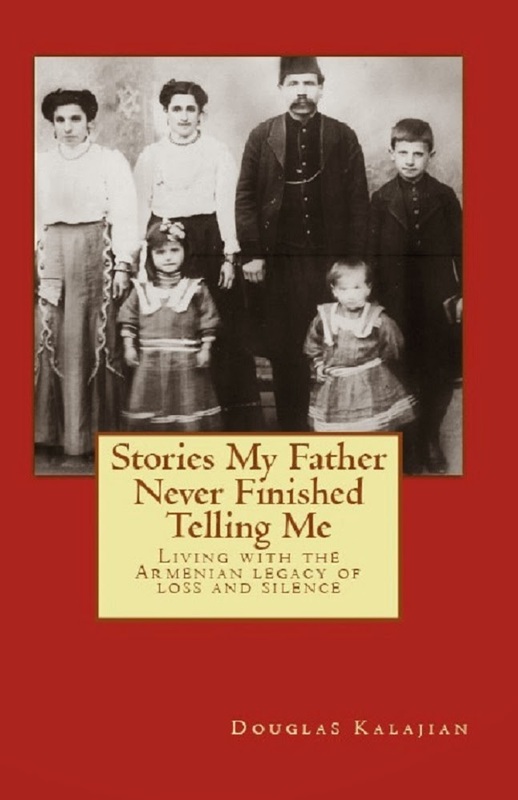 Christine offered the following recipe from Chef David for The Armenian Kitchen to share. Please enjoy! This salad with crunchy walnuts is for real blue cheese lovers. Pair with a grilled steak or lamb chops and boiled baby red skin potatoes for a classic steak house meal. 1. Melt Roquefort cheese in the oven or in a pan on top of the stove, being very careful not to scorch. Let cool. 2. In a bowl, combine the melted cheese, mayonnaise, buttermilk, juice of two limes, Worcestershire Sauce, cayenne, red wine vinegar, and black pepper; mix well until all ingredients are combined. If desired, add an additional 2 ounces of Roquefort cheese for an even more intense flavor. 1. Trim the base of the endive using a diagonal cut, then separate the leaves. 2. 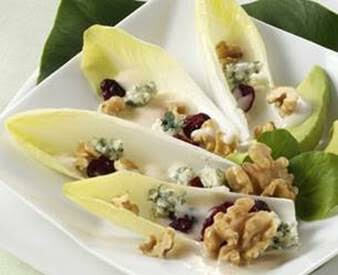 Toss the cranberries, nuts and Roquefort together in a bowl, being careful not to break up the Roquefort too much. 3. Spoon the mixture into the endive leaves and garnish with the watercress. For advance preparation: Fill the Belgian endive leaves up to three hours before, cover and chill. Garnish just before serving. Drizzle with Roquefort Salad Dressing, as desired. The Vintage Press Restaurant, in Visalia, California is one of Central California's most elegant dining experiences. Since 1966, the Vartanian family has welcomed local residents, visitors and dignitaries alike on many special occasions. Wine Spectator writes that the Vintage Press has "one of the best wine lists in the world," while Fodor's raves it is "The best restaurant in the Central Valley.” The L.A. Times applauds the Vintage Press as "a bastion of culinary merit." With four distinctive rooms and classic menus that reflect the current season, the Vintage Press invites you to join them at your earliest opportunity. The Vintage Press is renowned for its outstanding food and service. Critics believe this is the best restaurant in the Sequoia region and a true fine-dining experience, with white tablecloths, plush red leather banquettes and exceptional service. The Vintage Press serves classic beef, lamb, seafood and specialty dishes. The exceptional menu encompasses a wide range of influences, meaning you could order the excellent lamb kebobs while your companion feasts on spicy chile relleno. Classic American dishes and pastas are well done, especially the restaurant’s famed filet mignon. The wine list is similarly superlative. Featuring upscale, classic cuisine with a creative twist and farm to table sensibility. Open for Lunch, Dinner or Sunday Brunch.